Studies have indicated that the tannins present in green tea can lower LDL cholesterol levels significantly. Green tea can either be used as capsules or drunk from a cup twice in a day. The reason green tea can reduce LDL cholesterols by up to 10% is indicated by the American Dietetic Association as the catechin compounds in green tea. These catechin compounds effectively assists in the absorption of LDL cholesterol in the gut. Beans will assist in the elimination of LDL cholesterol by up to 10% as indicated in various studies done by state universities in the United States. Researchers strongly believe that beans are good at eliminating LDL cholesterol due to their high fiber content. Some researchers have gone to the extent of likening a beans diet with taking statin which is a form of cholesterol lowering medication. 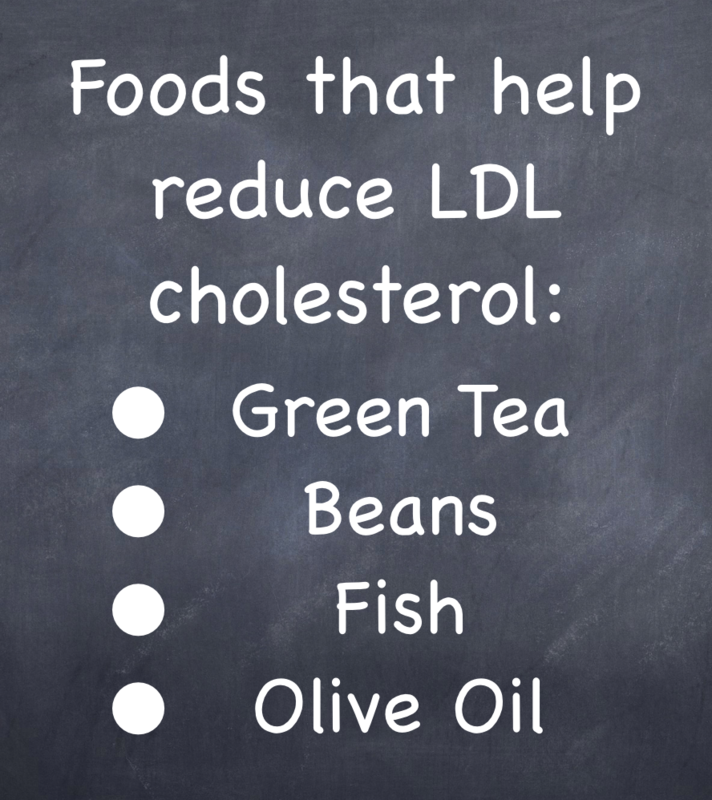 The most effective types of beans for LDL cholesterol elimination are the kidney beans. Fish has been proven to lower the levels of triglycerides in the body. Triglycerides are a form of fats which are related to bad cholesterol in the body. 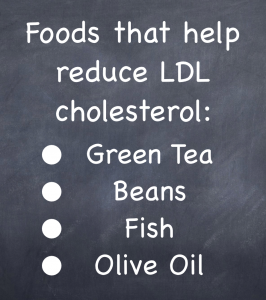 When used alongside other foods such as the red yeast rice, fish can be much more effective in lowering LDL cholesterol than prescriptive drugs. Research has indicated that those who used fish in their diets for over ten weeks had a significant drop in the levels of LDL cholesterol in their blood. A diet of olive oil is rich in oleic acid. This acid is a monounsaturated fatty acid that effectively lowers the level of bad cholesterol in the body. It is recommended that individuals should take at least two tablespoons of olive oils with their diets as a supplement to other fats. Some researchers have indicated that when olive oil is used along other plant sterol-enriched foods such as cereals, milk and low-fat yoghurt, LDL cholesterol levels in the body are reduced by over ten percent.